Looking for a specialist kitchen cabinet painter Lancashire has just got a lot easier. JS Decor have painted over 600 kitchens to date some very expensive and some not so. Julie and Paul had been searching for a hand painted kitchen specialist Preston Lancashire. Looking on the web they found my website and had a good look through it. 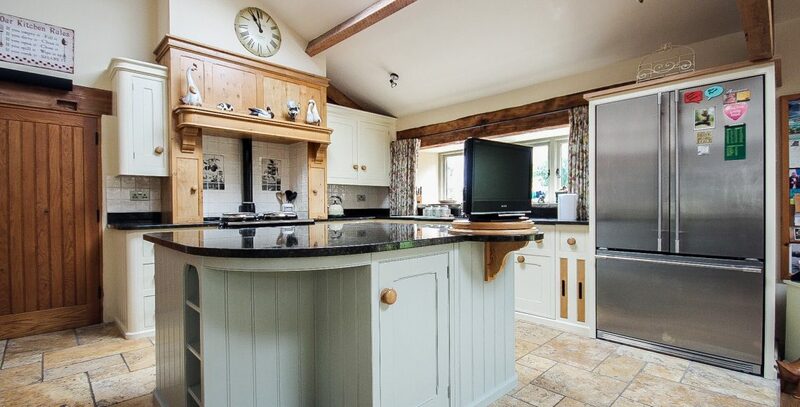 This article is about a couple who had a beautiful solid Oak kitchen, it was to good to take out so it became a hand painted kitchen Rufford lancashire. Kitchen Painters Lancashire: JS Decor are specialists in hand painted kitchens Lancashire, for over 20 years we have hand painted well over 400. From the cheapest inherited kitchen to most expensive ones and the one thing they have in common is they all look stunning when finished. In this article I go through the process of another hand painted kitchen Burscough Lancashire. Philip and Jeanette contacted me me via my website as a most people do. They were interested in having their pine kitchen updated with a painted finish. So they sent photos through so I could price it up. 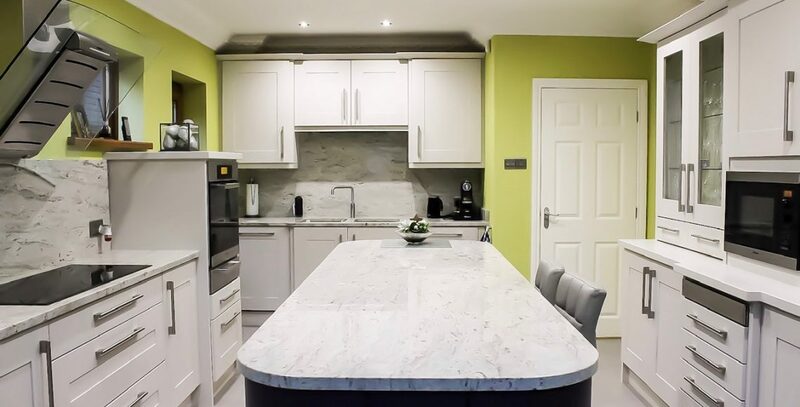 Mistral worktops hand painted kitchen: In this article I go through how we rejuvenated an Oak kitchen with new Mistral worktops and painted it in White Tie. 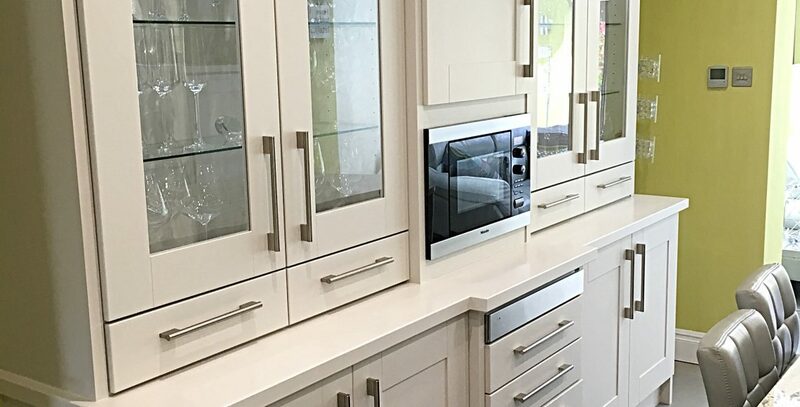 John & Dot were ready to change their kitchen, but it was to good to replace so having seen what we can do with kitchens on the internet, they got in touch. They wanted new worktops,splashbacks and the units painting so the kitchen would become lighter. In this article I go through how we transformed a 13 yr old careworn Hand painted Laurel Farm kitchen into a bespoke kitchen. Hand painted refurbished Oak kitchen Euxton: In this article I explain how we hand painted and refurbished an Oak kitchen in Euxton Lancashire. New worktops along with the walls re plastered and units painted in Rolling Fog LG equivalent. Hand Painted Kitchen Mark Leigh re-painted Lancashire: This article is about a refurbished Mark Leigh kitchen and re painted in Lancashire. It will answer some questions asked by homeowners. Those who are looking into a refurbishment that goes well beyond painting the units. Get a Quote for Your Kitchen Project. Click Here.